Sometimes you read a book or a series and you know it will always be in your heart. Today, I’m sharing a series review for one of the most amazing series I’ve ever read- The Grisha trilogy. Warning: lots of raving ahead! Let me first tell you that I am not a big fantasy reader. Even with my lesser experience when it comes to reading the genre that Shadow and Bone falls under, I can tell you that this is a one-of-a-kind book. 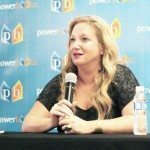 It’s one thing to simply be taken with a story but another to be have it come to life before you, making you want to be delve deeper into its world. 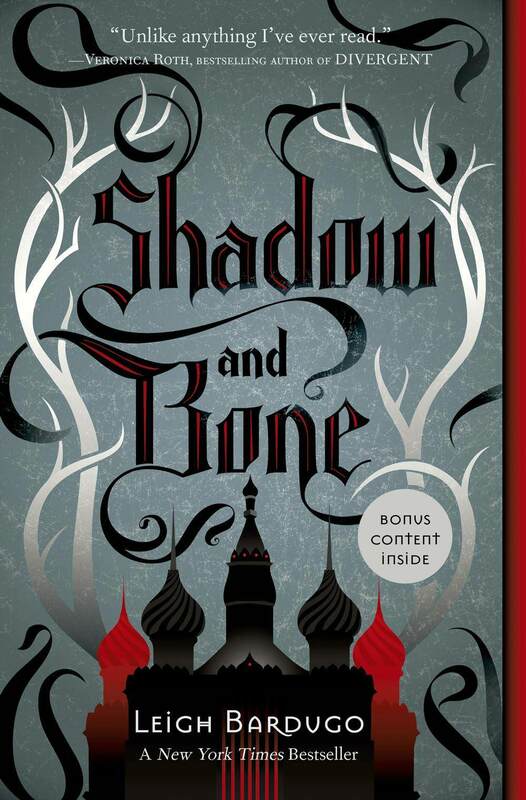 With it’s terror and beauty, Shadow and Bone drew me in and I was more than happy to jump right into the world of The Grisha. There are so many things I utterly loved about Shadow and Bone so the list is quite long. I loved the way the first and last chapters were told. I loved the unique setting of Ravka and the history behind it. I loved the amazing world building (I CANNOT EMPHASIZE ENOUGH HOW AMAZING THE WORLD BUILDING TRULY WAS!) and how the plot played out, keeping me captivated. I loved how the story managed to make me feel so attached to its characters- Alina, who then had so much to learn and much more to grow. She made me root for her all the way. I loved The Darkling, who was wickedly alluring and one of the best villains I’ve ever read and Mal, who I admittedly shipped with Alina hard (bestfriend romances are my favorite). Most of all, I loved how epic Shadow and Bone was. I never expected to love it as much as I do and now, I can’t stop singing praises! Everyone, read this book! The Darkling has emerged from the Shadow Fold with a terrifying new power and a dangerous plan that will test the very boundaries of the natural world. With the help of a notorious privateer, Alina returns to the country she abandoned, determined to fight the forces gathering against Ravka. But as her power grows, Alina slips deeper into the Darkling’s game of forbidden magic, and farther away from Mal. Somehow, she will have to choose between her country, her power, and the love she always thought would guide her--or risk losing everything to the oncoming storm. Despite the long while it took for me to read this sequel (about half a year after reading Shadow and Bone- I decided I wanted to wait for the last novel to be released before I read the second book), I easily got back into the story, with just as much enthusiasm. 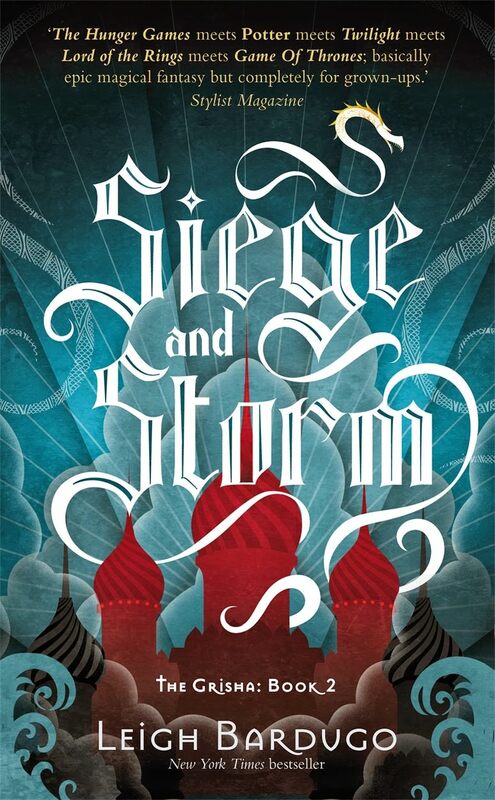 While I would say I love all The Grisha books with equal fervor, it must be recognized that I enjoyed Siege and Storm slightly more than the rest. This sequel undoubtedly had the same amazing qualities as its predecessor- outstanding, unputdownable, awesome- but I found it so much more fun because there was more adorable banter, all thanks to Sturmhond. This cunning, witty, hilarious privateer was seriously the highlight of this book. I LOVE HIM LOVE HIM LOVE HIM. The next best thing about Siege and Storm is that it is a ball of feels and it does not spare the reader from extreme exhilaration, anticipation, heartbreak, and a huge jumble of emotions. As someone who largely enjoys romance, I could not contain all the swoons and I can’t help but want to piece Alina into three because I love her romantic interests and want all of them for her (or for myself really- because you know, I’m imagining she’s me). But romance aside, the transformation in Alina was splendid and I feel that Siege and Storm did wonders with allowing her to finally reach full potential. Leigh Bardugo ups the charm of her fantastic series in this second novel, having exciting new developments, exploring the places beyond Ravka, and introducing fabulous new characters and fans of the first book will find this sequel absolutely satisfying. Alina will have to forge new alliances and put aside old rivalries as she and Mal race to find the last of Morozova's amplifiers. But as she begins to unravel the Darkling's secrets, she reveals a past that will forever alter her understanding of the bond they share and the power she wields. The firebird is the one thing that stands between Ravka and destruction—and claiming it could cost Alina the very future she’s fighting for. Oh man, I just want to bury myself in this book. Endings are so hard. Alas, this is it for Alina’s story and even after finishing, I wasn’t sure I was ready to let go. Hello, book hangover. 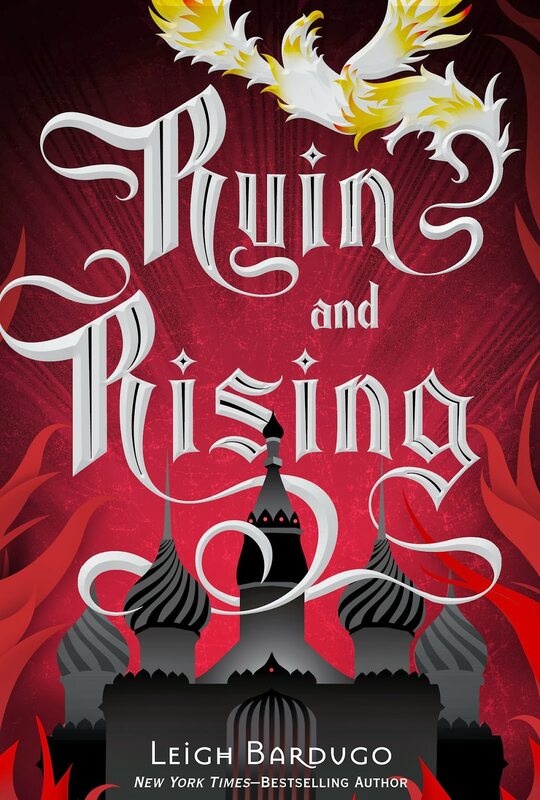 I admit that Ruin and Rising made me nervous, as a final book would because you want it to be glorious and to wrap things up in a way that you’d be able to say that the ending was ultimately fulfilling and unforgettable. I’m so happy to say that Ruin and Rising was exactly that for me. Alina is prepared to ruin The Darkling once and for all and ready to rise as Sol Koroleva, the Sun Queen. Doing this is not without its cost, and the price is high. Again and again, I’ve mentioned how much I loved the changes I saw in Alina and truly, I admired her fierceness in this final novel. She has never been without flaws but time and time again she shows that she is just a girl longing for love, essentially human, but also someone who would do anything to take out the darkness. Even more awe-inspiring, Ruin and Rising not only focuses on Alina, but its many other characters as well as their essence and hopes. I couldn’t help but cry because seeing through everyone’s hearts and feeling everyone’s emotions was just too much. I badly wanted to hug the whole Grisha gang because I’ll absolutely miss them. Alina, Mal, The Darkling, Nikolai, Genya, David, Zoya, Tamar, Tolya, Baghra- everyone imparts so much to the reader and while my heart broke and hurt, it also ascended as everything came to a conclusion. I could not ask for a better ending. Thank you so much for this beautiful adventure, Leigh Bardugo. I have been interested in this series for a while but haven’t quite gotten around to reading it yet. It sounds very good though and now that all the books are out I might just have to get to them soon. Yeay, I’m so glad to hear you love this series too! And yes, everything about it was amazing! If it was ever adapted as a movie, they better cast a very dashing Sturmhond or I’ll flip a table LOL. This is the best reaction to any of my reviews ever. <3 YOU GET MY FEELINGS, HAWWA. And I definitely liked the ending! WHY DID IT HAVE TO END THO??? Sturmhond was definitely a pleasant surprise in the second book. :) I think I also may like the second installment the best – for the extreme emotions and action and it’s just so twisty and unexpected and good. I have just bought the first book – can’t wait to start reading it. I really hope it lives up to the hype!